Toxic Masculinity: The lie that’s destroying us all. Cheers to a peaceful, powerful & purposeful 2019! Three years ago, I decided to take the plunge and become an entrepreneur. It’s been one of the greatest decisions I’ve ever made, but it hasn’t always been easy. Building a business takes sacrifice, risk and effort. It takes courage. It takes gumption. And although anyone CAN do it, not everyone WILL. Often times I have men and women join me on this journey of entrepreneurship with wide eyes and excitement. But after a few months, or even a few years, they haven’t seen the success they hoped for. They get discouraged and pull back, or even quit altogether. It’s heartbreaking, because I know how close they’ve come to making all of their dreams come true, only to give them all up. Being a girlboss certainly comes with its challenges. Learning to be self-motivated and manage my time. Learning how to be a leader, mentor and motivator. Learning business and computer skills. Learning to create systems and trainings so that my team can duplicate my success. And learning when to let others fall, because you can’t want something for someone more than they want it for themselves. But the most valuable lessons I’ve learned about being a successful entrepreneur are the two things I want to share with you. In order to do something others can’t do, namely live a life of complete freedom, you have to be willing to do something others won’t do, and do it consistently. As far as I’ve been able to gather, there are just two secret ingredients to success: Consistency and Fear. Consistency. Becoming an entrepreneur has less to do with making some grand gesture and much more to do with consistently doing small things, day after day. (Check out “The Compound Effect” by Darren Hardy) Small things add up over time. Success is the sum of your efforts, so resolve to do a few things each day that will get you closer to your ultimate goal. Fear. Let me just clarify that by fear, I actually mean Facing Your Fears. 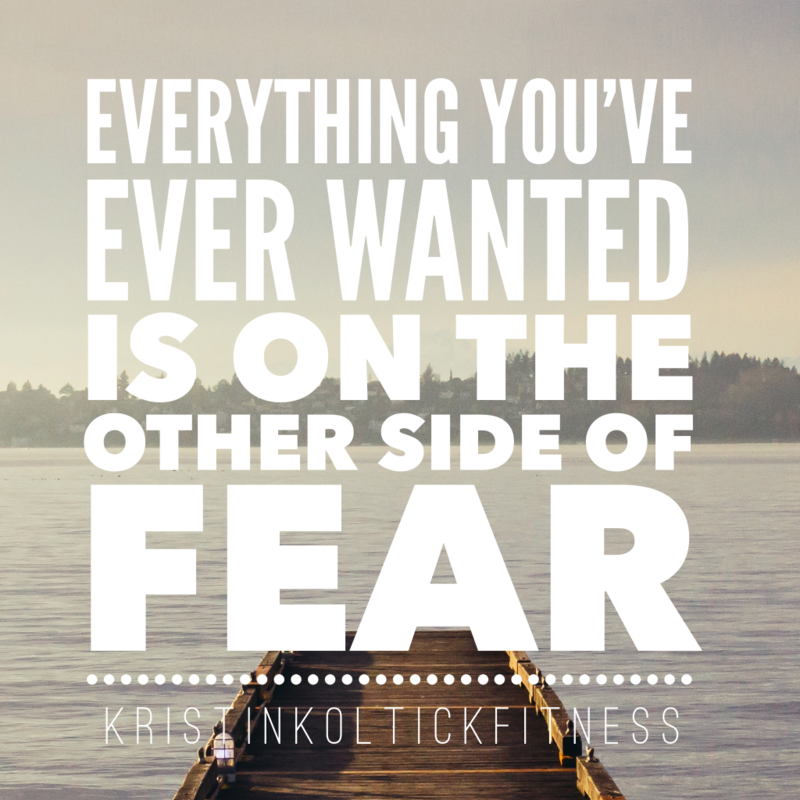 Learning to push through your fear and step outside of your comfort zone is absolutely critical to becoming successful. If you allow yourself to be held back by the fear of failure, of what others think or say about what you’re doing, about not measuring up, or about anything else, you will never achieve your dreams. Success requires courage. And it requires total faith in yourself. Perhaps you’ve heard the famous quote by Henry Ford, “Whether you think you can or can’t, you’re right.” If you don’t believe it’s possible, then it’s not. But if you have faith, the sky is the limit to your success. So step out in faith and do what scares you! If you’re ready to get started on your very own journey to success or want to know more about joining my team of entrepreneurs, fill out this application and I’ll be in touch! Kristin is a mom, entrepreneur and empowerment coach. She provides coaching and mentorship to entrepreneurs, individuals, couples and youth. Kristin is also active in the Lupus and wellness communities, advocating for a holistic approach to autoimmune and other health issues.